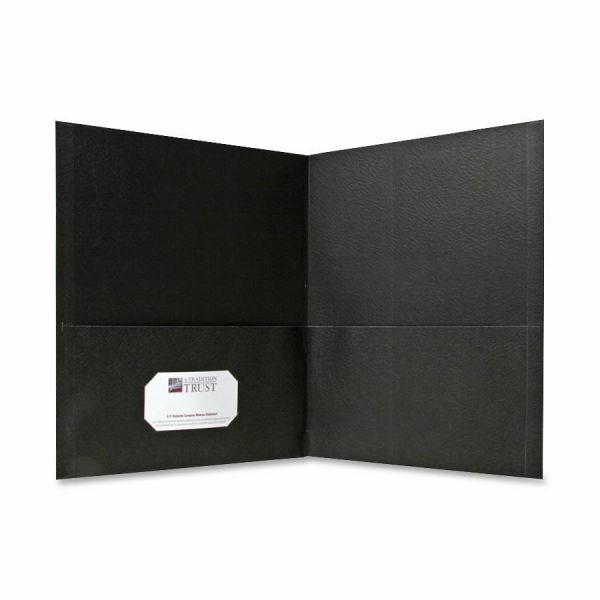 Sparco Black Two Pocket Folders - Two-pocket folders offer convenient pockets inside front and back covers to hold loose paper. Front pocket has a business card holder. Folders are made of sturdy paper stock for normal use.